A 49-year-old woman was struck off her bicycle and killed this morning by a motorcyclist on the Nigg Public Road, Corentyne, Berbice. 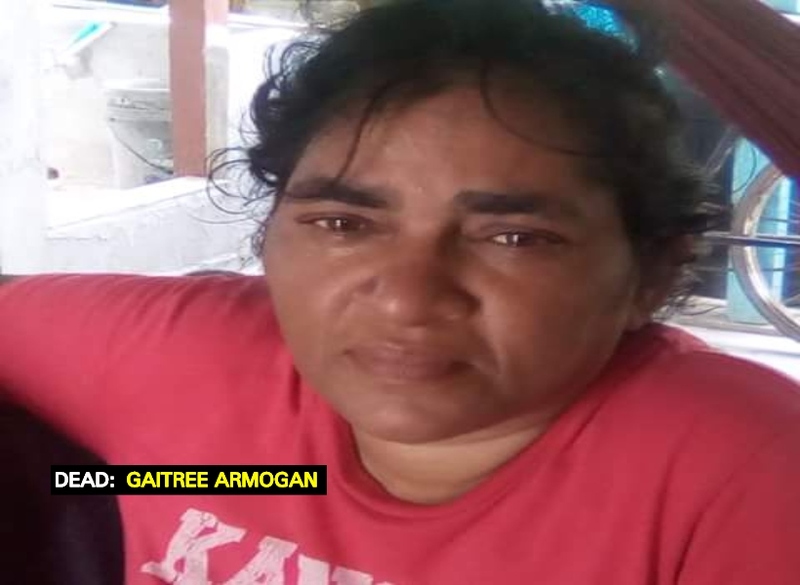 The deceased has been identified as Gaitree Armogan of Nigg New Housing Scheme. She sustained injuries to her head, feet and arms and was rushed to the Port Mourant Hospital where she was pronounced dead. According to information received, the mother of two was heading to a nearby shop when the accident happened. The police said that the motorcyclist claimed that he was proceeding east along the northern side of the public road when the 49-year-old woman reportedly turned into his path, causing him to collide with her. Both cyclists were picked up from the road and rushed to the Port Mourant Hospital where Armogan succumbed to her injuries and the motorcyclist was transferred to the New Amsterdam Hospital. His condition is listed as stable.